A fragment of an extraterrestrial spaceship has been found in Russia’s Perm region. At least, this is what local ufologists said after they analyzed unusual material, from which the mysterious object was made. Specialists determined that the strange metal was wolfram with additives. They said that such a compound could not be found anywhere else on planet Earth. Therefore, they concluded that the metal was of extraterrestrial origin. Nikolay Subbotin, the head of RUFORS research station, believes that the metal fragment could be a piece of an engine, Pravda.Ru reports. 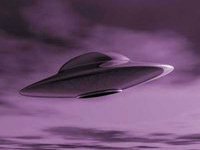 Russian news agencies reported about two months ago that residents of the city of Perm in Russia’s Ural could see a strange object hovering in the sky. Eyewitnesses said that the object was scanning the ground with a beam of light. Someone even saw “passengers” disembarking from the strange object.